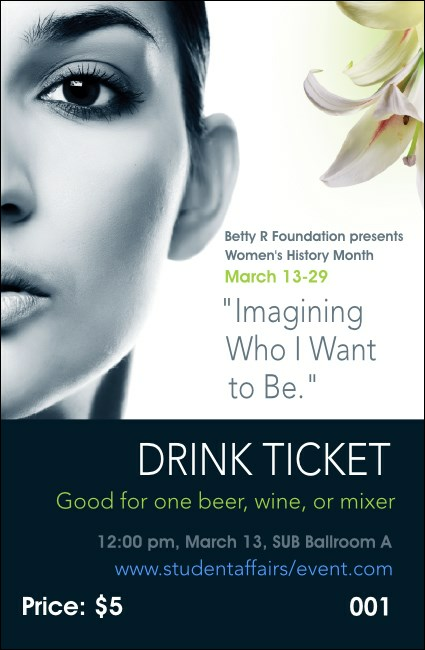 Help your fellow females relax and enjoy themselves at your inspirational event when you give them Women Expo 2 Drink Tickets. These sleek and sophisticated tickets feature a clear picture of a woman’s face in the background with two white lilies and eleven lines of text for all your event details. Find the right ticket to engender your event at TicketPrinting.com.